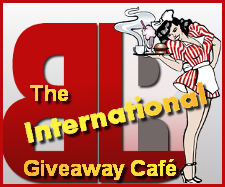 The BLI Holiday Reading Challenge 2012 – Sign Up | Book Lovers Inc.
1. The BLI Holiday Reading Challenge will start on November 14 and will end on December 31. 3. The books you read for this challenge must all be holiday related books. The holiday doesn’t matter, it can be Christmas, Hanukkah, Kwanzaa, etc. 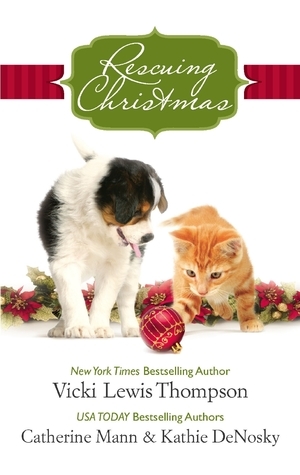 and the story can have any connection to the holiday (for example set around Christmastime, or having Santa or an elf as a character, the cover being festive, featuring snowflakes, etc.). 4. 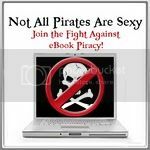 The format, length or genre of the books do not matter, they can be ebooks, paperbacks, audiobooks, and short stories and novellas do count as well. It’s okay for the book to overlap with other challenges. The only thing is that they can’t be children’s books, but YA novels are good. Re-reads are also fine. 5. Start the challenge by signing up! Leave a link back to your challenge post in the linky below where you state your challenge level (and if you already know which books you’ll be reading a list as well). If you don’t have a blog, no problem, you can still sign up with your name and e-mail address. (There will be posts later where you can leave your links to your reviews and of course there will be a challenge wrap up post at the end). of any holiday themed books at the Book Depository or the online ebook retailer of winner’s choice if they accept payment through Paypal. And now that the rules are set, let’s start the challenge! 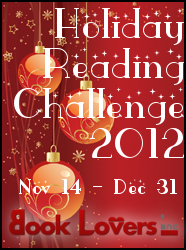 If you’d like to join the fun of the Holiday Reading Challenge 2012, please sign up below using the Linky. Leave the links to the books you have read for the challenge HERE. additionnal question is a book is an anthology can we make a review by story or it’s one for the whole book? I don’t think it’s too difficult to read 3-5 holiday themed books in 1,5 months, usually people start out with a modest bet and they surpass their expectations 😉 Good luck! Yay! Aren’t those the best? 😀 Can’t wait to start reading them!! Thanks so much for hosting this challenge again! Is it too late to join. 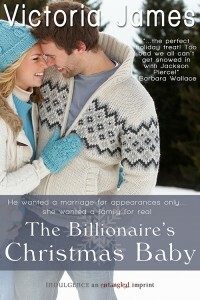 I love Holiday books and already checked out a bunch of Holiday inspired books.. This seems like fun..
Aw, heck, I read/reviewed two Christmas books last week, before I knew about the challenge here. Sigh! Nevertheless, since I have a couple more on the docket, please count me in! I’m actually one of those blog-free folks who is posting reviews at a different site. Should I just put my name and address in the linky, but no URL? Okay, revised signup is #16 on the linky, below my old one. Apologies, and many thanks for your patience! Should I go ahead and link to my December 4 reviews, or just start fresh from here?